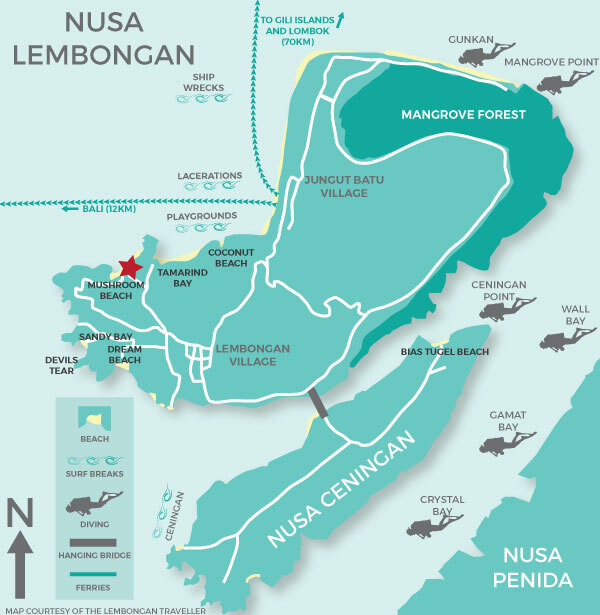 Sanghyang Bay Villas is located a short walking distance to the the sandy white shores and crystal clear waters of Mushroom Beach. There are also a great range of restaurants in walking distance. 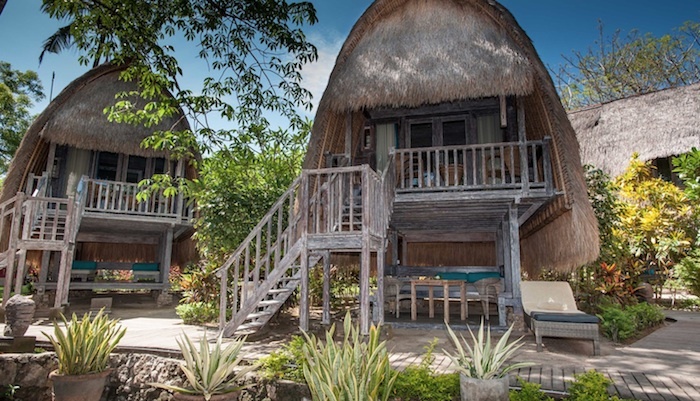 Each bungalow or hut is uniquely inspired by Indonesian cultures with local Balinese influences and creating a place to play or relax by day or to mix and mingle at night. 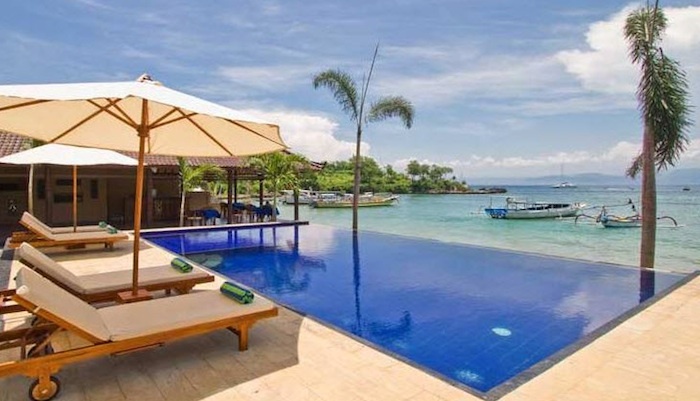 Combining the personality and style of a local family who live the island life, Sanghyang Bay Villas would like to emphasize the high values that the owner and his family have believed in for many generations: friendliness, family-like atmosphere, honesty and not forgetting to have fun in life. One-Bedroom Garden Villa is an Indonesian-Papua style bungalow which is equipped with sofa bed, water kettle and coffee-tea facilities, fridge, en-suite bathroom with shower and amenities, free daily one-time two bottled water, mosquito net. Garden view terrace is perfect for morning coffee, reading a book, or simply relaxing. 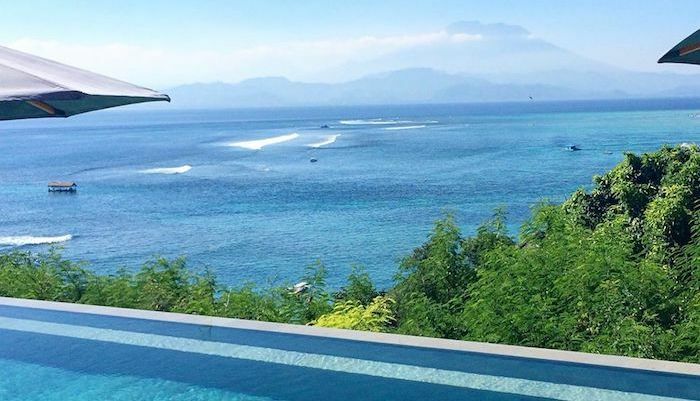 One-Bedroom Pool View Villa is a Balinese hut style bungalow which is equipped with flat-screen TV, TV Satellite channels, water kettle and coffee-tea facilities, fridge, en-suite bathroom with shower and amenities, free daily one-time two bottled water, mosquito net. Pool view terrace is perfect for morning coffee, reading a book, or simply relaxing. Easy access to our Eight-shaped outdoor pool is a plus for guest who booked this room type.